What were the forces that thrust the British Empire to its extraordinary position of greatness and then just as powerfully drove it into decline? And why is nearly every nation on earth, in one way or another, the consequence of the British Empire? 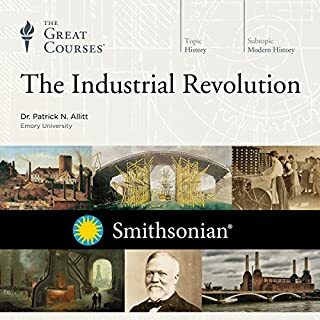 In these 36 lectures, Professor Allitt leads you through four centuries of British power, innovation, influence, and, ultimately, diminishment - four profound centuries that literally remade the world and bequeathed the complex global legacy that continues to shape your everyday life. 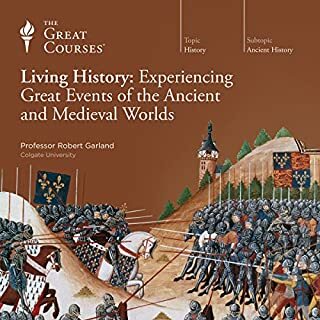 This is a remarkable lecture series; one that will give you fresh insights into world history in a wide range of areas - political, economic, technological, social, and more. And it will also give you a comprehensive overview you won't find offered anywhere else - a context into which you can integrate new knowledge about this country, as well as understand the background of current events in so many other countries that were once part of Britain's empire, from Ireland to China, and in Africa and the Caribbean. Indeed, it seems fair to say that one cannot truly understand the most important aspects of world history without a firm grasp of the history of the British Empire. 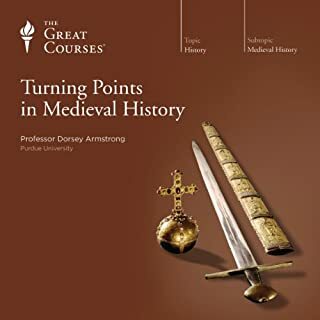 In giving you that grasp, these lectures draw on a vast range of critical events, riveting personalities, revealing anecdotes, and eloquent quotations. Compelling, comprehensive, and astonishing in the force of its narrative power, each lecture will give you a refreshing new understanding of what made the British Empire both great in its achievements and vulnerable to its eventual downfall. Partisans are bound to be offended by the balanced approach of this course. Informative history of our complicated past. This was a masterful survey of the British Empire. 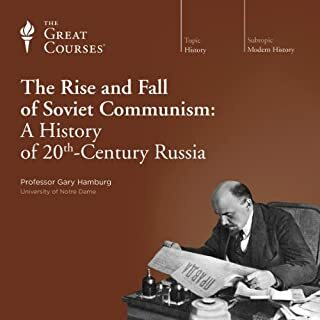 It is a lecture series from the Great Courses series. The professor is intelligent, well organized in his thoughts, and very interesting to listen to. He takes you on a sweeping survey of the British empire from its beginnings in late Medieval Europe to its dismantling after the Second World War and beyond. What it Covers: The lectures are thematic with a generally chronological progression. In them you will hear about every major part of the empire and its story, including the American Colonies, Canada, the Caribbean, India, South Africa, other African ventures, the British presence in Egypt and the middle east, Ireland, British East Asia, as well as the colonization and development of Australia and New Zealand. Some Highlights: The professor is thorough and engaging in his covering of the material. He is great at highlighting and bring out the different major personalities that were important to the British Empire such as Cecil Rhodes and Winston Churchill. Touches like this bring life and character to his overview. Likewise he also gives some mention of the arts, especially literature. I also think he was very fair in his approach to the morality of the British empire. He tries hard to be balanced and recognize both the blessings and the curses of British rule. Also, as an added treat, the last few of his lectures go on to talk about Britain in the modern era since the loss of its empire. Some Limitations: As an overview, the professor covers everything in brief but few things in detail. 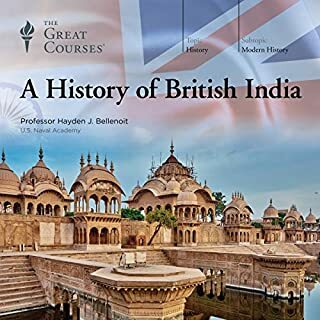 If you are looking for a deep history on any one area, such as the history of British rule in a region, in depth political or military history, or an overview of British monarchs and government, you will be disappointed. But, if you are looking for a general but thorough overview you will be satisfied. There were some personalities, places, and events that were left out. For example, little was said about Britain's scattered island possessions, save some of the Caribbean islands and a brief mention of the Falklands, or British Guyana. I liked that each of the lectures were generally around 30 minutes. Each lecture was well organized and presented in an easy to understand manner. He does bring to life many interesting topics, such as Britain's various colonial occupations of India, Australia, the US, Canada, Egypt and the Middle East, South Africa, West Indies. The more modern chapters were particularly compelling, particularly how Britain ultimately dissolved the empire in India/Pakistan and Israel/Jordan/Palestine/Egypt. 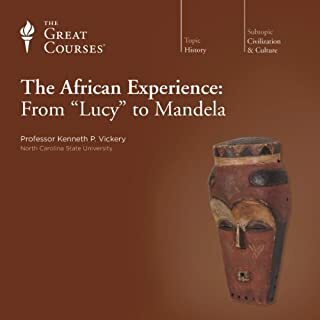 Many, but the chapters most interesting were on Africa - Boer War, finding Dr. Livingston, Egypt. The full consequences of the rise and (perhaps especially) the fall of the British Empire are still very much unfolding in our world. In Africa and the Middle East especially, the transformation to independence has been so recent that no historian can give true perspective to the influences, rights, and wrongs of the Age of Empire. 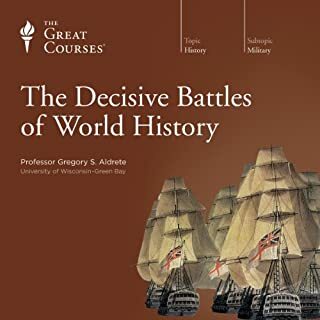 That said, it seems to me that Professor Allitt's course is very comprehensive and as balanced as any modern European historian's can be at this point. 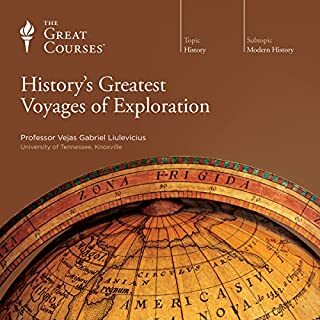 I learned a tremendous amount and am so glad for the recent inclusion of "The Great Courses" series into the Audible library. There are 400 years of stories in this (some familiar, some not), well organized and very entertainingly presented. My husband has been abruptly disturbed many times by my exclamations of "did you know?" and "can you believe?" and "wow, I didn't know that! "- always a sign that I'm deeply involved in an absorbing and valuable listening experience! This is certainly a wonderful overview of a long arc of history which has so influenced the development of today's political map. The evolving and widely differing motives and opinions about empire are presented with modern sensibilities (of course), but also with an attempt to recapture the mindset of the times, both in Britain and in the countries of the Empire. 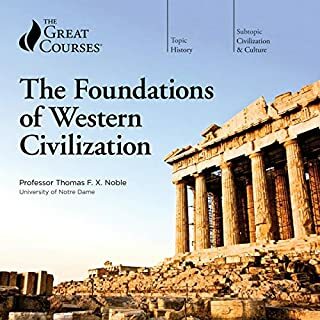 Non-Western historians no doubt have differing points of view, ones of equal value, but this is a great introduction to the complexities that have defined the age of imperialism. Whether inclined or not to agree with his perspective and his conclusions, I believe anyone will benefit from listening to Professor Allitt! What made the experience of listening to The Rise and Fall of the British Empire the most enjoyable? 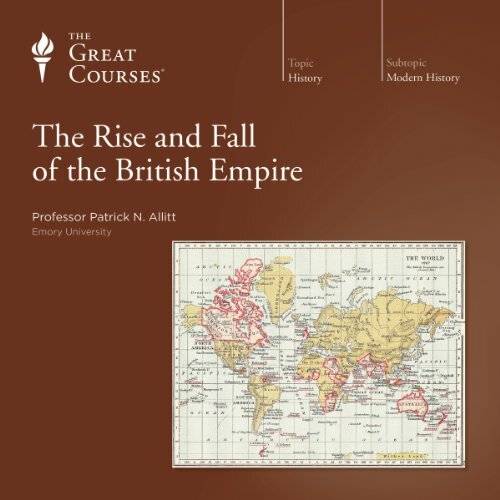 Professor Patrick N. Allitt's clear and easy-to-understand presentation on the history of the British Empire. It gave me a good prospective on world history esp. between the world wars. 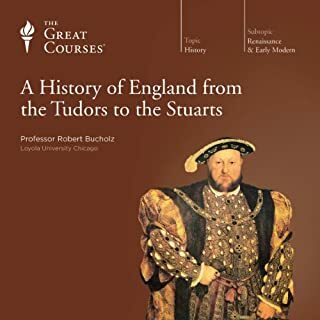 I would recommend this to anybody interested in British history. It is easy to follow, with key events well presented. I am a bit of a history amateur. I've read plenty of history books, but as far as the history of the British Empire, the closest I had come was schoolboy textbooks and a few Winston books. So I was a little wary about whether I really wanted to indulge in 36 or so lectures about the subject. But I was wrong. I found this subject to be very fascinating. To gain an appreciation for the other side of the US revolution, gave me a better appreciation for the uniqueness of the British and American empires. Seeing how the spheres collided time and time again, finally leading to the passing of the torch is interesting in that it never really needed to be this way. Not that I've become a Tory or that the book lectures the British in a positive light, its just that seen through the prism of time and global influence, the English speaking peoples had much more in common than they had differences. 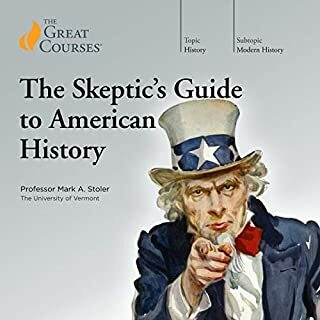 Of course most serious historians have been repeating that for decades, but these lectures really drove the point home. It was also refreshing to see the history from the eyes other than a Churchill biographer. Churchill had a profound impact upon the world, but was a rare and unique breed of person that said little about the British leaders themselves. People and their aspirations perhaps, but even then the record is mixed. 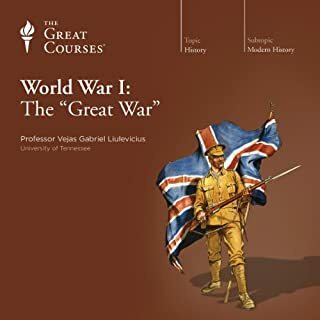 It also struck me that the US from the time of WWI argued through WW's principles that imperialism had run its course and by the end of WWII, the British themselves agreed they no longer wanted to be responsible for running an imperialist system either from an economic or moral perspective. There is quote about opportunities for freedom bringing forth the best in the nature of man, the opportunities to allocate the governance once that freedom has been won bringing forth the worst in that same man. 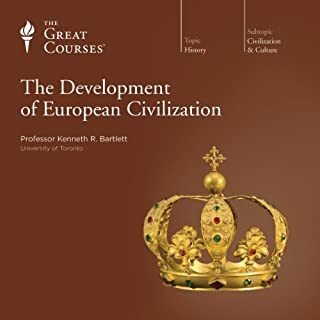 And so it began as the British Empire dissolves, myriad immature systems elevate their men to the pedestal... nationalism, socialism, fabianism, democracy ... the book touches upon how these and other systems compete for power as men and women across the Empire are given their "freedom". For me a good book whets the appetite, and this series will certainly inspire many more book choices for me. There is much more in the lecture series to recommend. 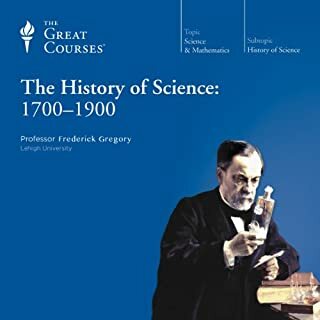 Recommend going to the great courses website to see the titles of the lectures. This covers the major territories of the British Empire, including India, South Africa, US, Australia and discussed their formation, operating modes and events, and dissolution from the empire. It also touches upon social and political changes over the years and shows how they had a very large impact upon public opinion and subsequent British desires to stop the imperialist system. Highly recommended lecture series. Seemed to be fair and balanced to me, but I am a bit of a history noob. I may have called this lecture series a book, but there is no book that I could find. Just 36 lectures. I thoroughly enjoyed this lecture series by Professor Allitt. 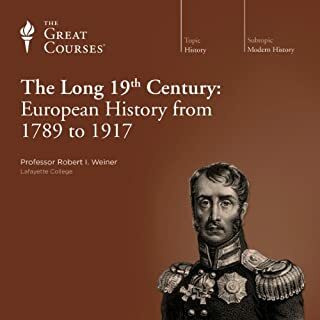 While he cannot, due to time constraints, go deep with any one time period or geographic dimension of the BE, he does a fantastic job of giving an overview of the history of the British Empire. He is entertaining and easy to listen to from a performance standpoint. 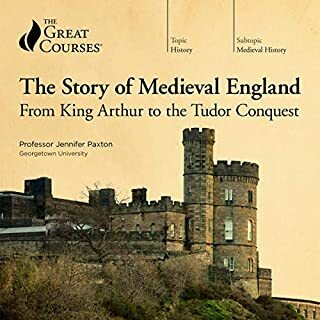 Professor Allitt left me with a desire to read further into many aspects of British History touched on in this course. He does an excellent job of presenting a point of you that is fair, though decidedly British, perspective, therefore providing an American audience the opportunity to see perhaps familiar events through another lens. Well done! Highly recommended. Prof Allitt gives an even appraisal of the British Empire finally concluding that despite shameful moments, it left the world with positive institutions and ideas--and in comparison to other empires (think of the Spanish conquistadors, or Stalin) the British empire comes out looking pretty good. I do enjoy a British voice too. 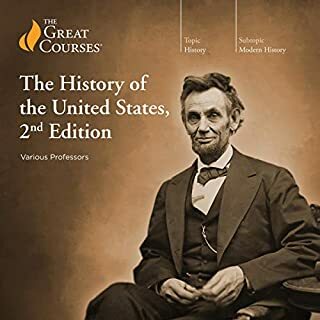 So many Great Courses professors are American. Oh, the two chapters on empire literature fit in really well. The lectures are easy to listen to, with lots of anecdotes. They cover a lot of material, but the content is not particularly chronological and somewhat repetitious. Allitt is a brisk, fast speaker. Sometimes I found his voice a bit annoying. Allitt presents the history from the point of view of what I would call Economist Magazine–type conservatism (i.e., the notion that democracy and capitalism are better than other kinds of governments and economic strategies). Overall he seems to argue that although British imperialism did a lot of damage in the world, the damage is outweighed by the degree to which these ideas were seeded everywhere it went. I'm giving the course 4 stars because that's the rating I give to something I mostly enjoyed but wouldn't want to listen to again. 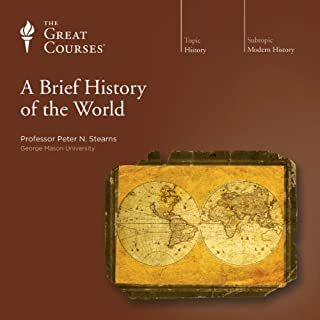 This is a course that explores the history of the British Empire without glorification or condemnation, giving a balanced look at both the good and the bad. I thoroughly enjoyed it.